Celtic Eased Through At Hampden, And So Of Course McInnes Is Trying To Deflect. From the minute Celtic took the lead there was only going to be one winner at Hampden yesterday. We all knew that beforehand. As I’ve said over and over again on these pages, teams who set their sides up to play for a point in the league cannot do that in a winner-takes-all cup tie. At some point they have to try and play football and we happen to be better at that. From the second Forrest unleashed that wonderful shot, Celtic were in the final. Aberdeen did not handle the goal well. They lost their heads. Discipline collapsed. And the manager, on the touchline, was already frantically attempting to deflect. I was not surprised to wake up this morning to headlines about how McInnes and his club are angry with the officials. Because the officials got every decision correct yesterday, every major one that counted anyway. Which is more than McInnes and his backroom team did. Anything not to have to face the Aberdeen fans with another dose of reality; this guy has taken that club as far as he’s able. The question is, is it as far as anyone is able? I’d suggest not. The Ibrox NewCo is presently basking in its second spot status … a decent Aberdeen manager would not have so easily capitulated on that front. A decent Aberdeen manager might have more than a solitary League Cup won on penalties to his name. 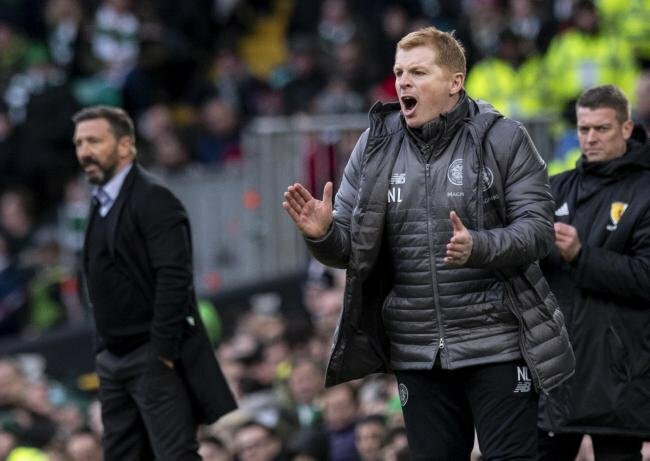 Celtic still has a big decision to make on the future of Neil Lennon but perhaps Aberdeen do too. Nothing about them was convincing yesterday. Nothing they did justified my nerves before the game began. And whilst I didn’t think we were exactly brilliant, and especially not up until the first goal, we handled them easily enough. The media should be asking hard questions about McInnes today, but of course he was already well in front of them in knowing how to handle that. His confrontation with the Celtic fans would have been the headline even if he hadn’t been sent to the stand for it; he says he’s heard the same sort of stuff sung about him before and not reacted. His reaction this time was deliberate and calculated. The intent was clear; change the story. But nothing will change the story. Celtic swept his team aside yesterday, in spite of a resort to thuggery which is all too typical of his team’s approach to games against us. How many high profile matches between the two teams result in a rash of bookings for his club? Yesterday there were two, not including his own. Neither was contentious. Both were deserved. In fact, Ball could have got a straight red for his clash with Christie, who was stretchered off. It’s not the first time we’ve had a player leave the park in that condition against Aberdeen in recent years either. Aberdeen’s tactics were obvious; a mixture of sitting back behind the ball and trying to rough-house their way to a result. But it was all going to be for naught the minute we opened the scoring, and so it proved to be. McInnes and his team got what they deserved. So did Neil Lennon and Celtic, the obvious reward for the team that turned up to play football. Of course McInnes doesn’t like it. Of course he’s trying to deflect. But the result is what matters and it is pretty clear. If Aberdeen fans have sense they’ll be asking how much longer this guy deserves. He’s got nothing left to offer them.